OSWEGO, IL -- An e-cigarette may have started a car fire on Tuesday in suburban Illinois authorities said. 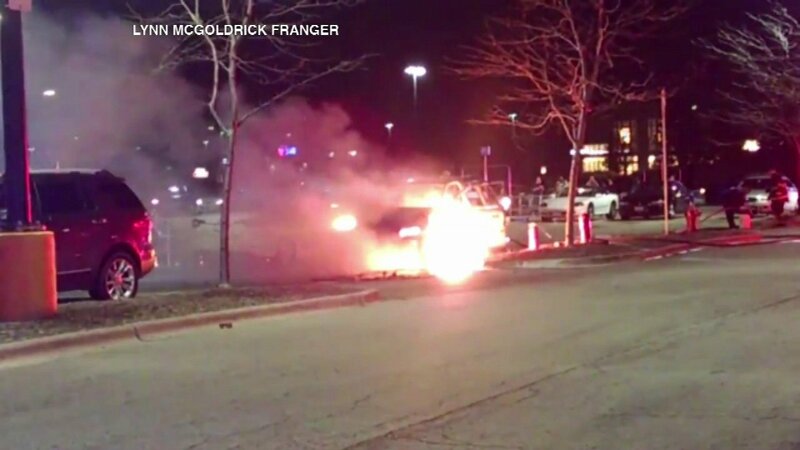 The vehicle went up in flames in a Walmart parking lot. When firefighters arrived, the fire had spread to another vehicle. Investigators say a "vape" e-cigarette was in the center console and that might have sparked the flames.